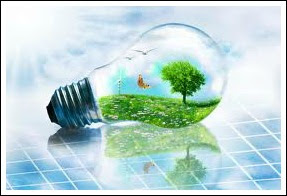 I decided to take part in a crafty competition from LightBulbs-Direct. They are offering the chance to redecorate old and plain light bulbs into exciting new Christmas ‘light bulble’ baubles, with the added bonus of being able to win a £100 John Lewis gift card prize! So I decided to enter! The entries can be decorated using any original or festive crafting materials, and can be hung from the tree, arranged in an artful display, or displayed however you wish! Annabelle ( 4 years) wanted to create a Christmas Snowman for the Tree so we used a old bulb and a bauble from the Christmas Tree and we wrapped them up in Christmas Wrapping Paper. Annabelle had a great time and I am not going to lie so did I! 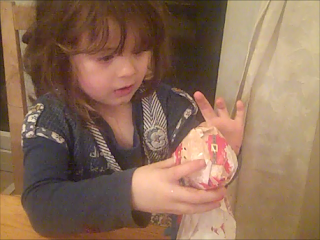 So then we Sellotape them together to make the head and body. Now every Snowman Needs a Scarf! So two ribbons did the trick. Annabelle added the eyes and then both Annabelle and Callum finger painted the body with glitter glue! It was a very easy enjoyable activity. The best thing was the children's faces, happy with their accomplishment ! Wow just came to check my blog and I have had a lot more views than I expected so thank you! I thought I would give you a run down on whats happening in my life now. 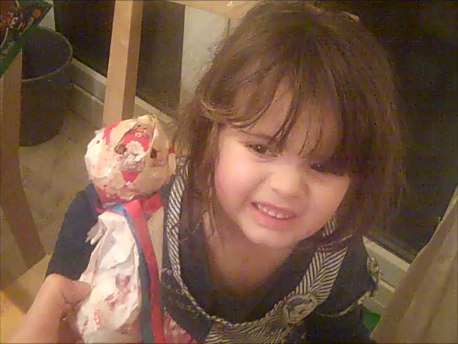 Annabelle is at primary school in the reception class. The school is amazing and I feel very lucky to have got her in the school. Its out in the countryside and she only has 6 children in her class. This is uncommon. She is learning so much which I am happy about. I wasnt able to sit with her and teach her a lot because I've been super busy with the other children so I am glad she is not at all behind. Callum is almost 3 however terrible twos set in about 2 months ago. He is such a mummy's boy so I can't even go to the bathroom by myself! haha!! 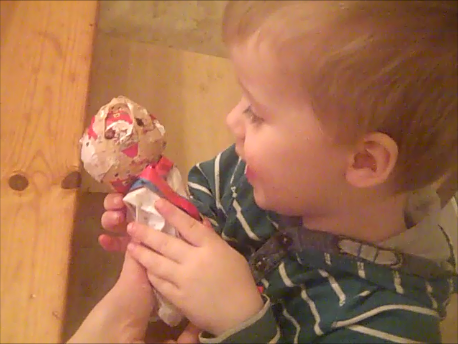 Callum starts preschool in April and he will actually be in Annabelle's class so he will love it. My baby Joseph is 1 in a week, How?? This has gone so fast. He is now walking and saying a few words like 'bye' 'hiya' He is a bundle of joy for sure. He loves his brother and sister so much and even loves callum tumbling all over him. Joseph is a very happy baby! I started working online in July. I did start in one company but soon found the right company for me and I am seeing success. I believe in things that are ment to be and it looks like it is. My other half has been in and out of contract jobs and now is helping me! 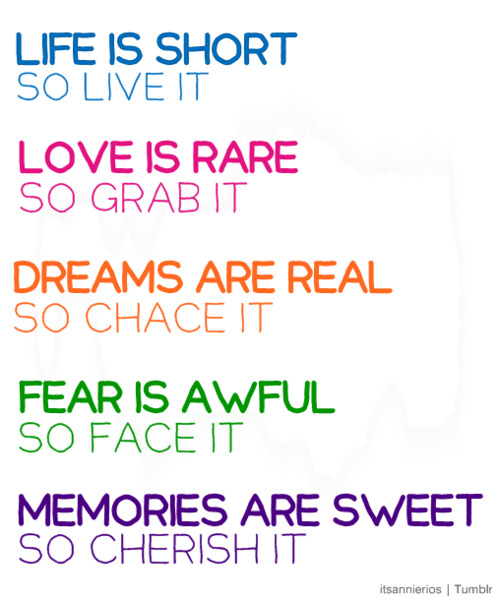 Its great having a positive look on life. I would encourage any mums to look online as its a great place to work. If you want to ask me any questions my email is workfromhomemumuk@outlook.com and my page is HERE on facebook. So Annabelle starts her educational journey on Tuesday and I become a school mum. I have to say I am not nervous, worried or upset. Yes I will miss her but she needs that stimulation that I can't give her with having 2 others around! She misses Preschool so much and the reason is because she loves the environment. She gets to learn which is so exciting, she gets to play with other children and she gets to come into her own. We have bought her school uniform which looks adorable! She has been using some as play clothes! This is how much she longs to be there! The only thing I am worried about is getting there on time! My organisation this days is rubbish!! 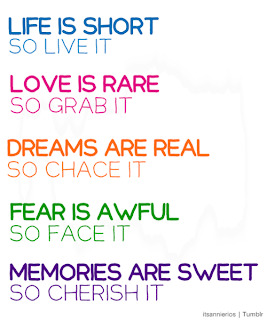 Life is Short so LIVE IT!! I always knew that this life is short but I always put to the back of my mind that we don’t know when this journey ends. My thoughts go out this week to an amazing girl and her family. Sarah gained her wings the other day. Her sister is one of my oldest friends and we are still good friends now. When you hear that ‘ she was strong enough to live her journey’ I believe this to be right. She was. She didn’t let it spoil her fun and the time she had left. I remember her posting on facebook saying that everyone needs to get real, They have their health so stop moaning and get on with enjoying life whilst you can. But you can always fix everything else whether its friendship, lack of money, where you live, relationships. Do it!!! Take action on YOUR life!! Not happy with something?? Change it…. Now ….. not tomorrow, next week, next year …. NOW!!!! If you don’t you have only yourself to blame. Thank you Sarah for the gift of Positivity. You have changed my perception on life. Made me come out of hiding. Sarah’s last wish was to get married she did it because she desired it! Take a leaf out of sarah’s book. Why do I feel embarrassed telling people? From now on i'm not going to feel like this. I am going to stop worrying about what other people think about me. I am very proud of my grandads achievements and he is a very inspiring man. I would like to tell you about his childhood. My Grandad is called Geoff and was born in 1937. He was the eldest of 4 children. When Grandad was 5 or 6 world war 2 was declared and my Great Grandad Harry was sent to the war. He said to my Grandad 'boy, you are the man of the house now' A 6 year old!! My brother is 6 and he still gets tucked in bed etc he is still my mum's baby. I can't imagine how my grandad felt but I guess he felt so much pressure. One of the things my grandad had to do was peek through a window at a hospital where his younger brother was very poorly as no one was allowed in. Can you imagine? My grandad said his love for aeroplanes started then.... he saw them fly over and I recall he saw one land in a nearby field. That was the moment he was inspired. Inspired to succeed. He was to have a life he wanted to lead. I will fast forward about 15 years. He met my Grandma. Well they actually lived across the road from one another as young children. They dated, they married and guess where they lived?? In a caravan. Why? They couldn't afford a house and they were living away from Cheshire. My grandad was a trades man and one day decided he was to start a business. He was a self employed builder. He built my Grandparents first home, my mums first home which she was born into. My grandad was and still is a hard worker and this showed. My grandad is one of my inspirations. My grandads business turned into businesses, rental houses. If he can go from living in a caravan to building two of his own houses, flying his plane, riding a motorbike and owning a Mercedes-Benz then I can follow my dreams and succeed in what I want to do. Oh I almost forgot my Grandad most popular form of transport is... an old jeep!! This is my grandad on his previous bike( I think a harley davidson) He is with my younger brother Ben. I think this was about 8 years ago! 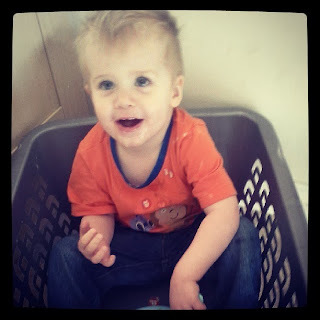 I'm not just a stay at home mum, I am a blogger too! Recently I have been thinking a lot about my life. Yes I am a stay at home mum which I am very lucky to be able to do in some ways. But I blog and blogging its not just writing a diary online. First of all I had to set up a blog which was new to me. I taught MYSELF to design a blog just the way I wanted it with a little help of google. I had to use html which is another language. I then had to learn to write in a way I was happy with, and share my content. It doesn't stop there, I also communicate with other bloggers and non bloggers via the different social media platforms such as twitter. After a while I started receiving emails from different pr's and brands about reviewing products. My blog has grown and when I am not looking after my children or doing the dreaded housework I am on the internet doing one of the 'blogging' jobs. It isn't a job in some sense as I do not receive an income but its a part of my life that I love. I am not just a mum, I have another purpose. My purpose is to blog!! My next step is earning through blogging. That would be amazing! Housework Tips Series- How to keep on top of the washing up? I have decided to write up posts on how to keep myself organised around the home as I find I am either stressing about housework or doing it! I would much rather be spending quality time with my children or my hobbies. If you are like me my washing up builds up very fast and gets left on the side which drives me insane! and who washes up ... me of course. wash up straight away and put on the drainer. No Pile up!! For More tips on the housework check out this page ..
Every year, there’s a must-have list of toys that all children are desperate to get their hands on, but what will be top toys for 2013? Argos, the UK’s number one toy retailer, will once again announce its Top Christmas Toy list – a prediction of this year’s most wanted toys. So, what will be topping the wish lists this year? Log onto our exclusive stream where Andrea Abbis, the Chief Toy Buyer at Argos will tell us the must-have gifts and for a sneak peek at every item on the list. Author and parenting expert Anita Naik will also be discussing the importance of toys in developing creative and problem solving skills and the role of play in developing vocational skills. All children are different and we never really know how they will react until they start. What is great about a child care setting is that there is approximately two visits prior so the parent can stay with their child if they wish. The visit sessions are there to give both the children and their parents an insight into the daily routines in that setting as well as getting to know the staff, children and the environment. In nurseries and preschools a child will be given a key worker who will get to know the child well. They will form a warm relationship which will make the initial separation each session easier for all. The key worker is the person who the parent can speak too if they have any issues or concerns about their child. From my experience as a key worker sometimes the child can choose their key person as they feel safe with another member of staff. As a nursery nurse I had certain children that would happily come to me from their parents arms and not to another member of staff and vice versa. When starting a new setting children can have a mixture of emotions. They can be shy, scared, happy, sad or excited. It is great when they settle quickly but this doesn't always happen which is common. I have witnessed children run into the nursery like the child had always been there and other children that did not want to leave their parents side. This is a natural reaction as a baby or child has been with their parent and family for all their life and there care and attention is all they know Attachment to the parent is a very strong and precious thing. As we have to learn independence, going into a child care setting is what a child needs to grow and learn for his or her own development. Parents naturally have an attachment to their child also. As a nursery nurse I did not understand this, why would I. I thought I did at the time but unless you are a parent you do not have any personal experience of the love a parent has towards their child and how special their child is. I have watched parents be confident and drop their child off and most of the time that child was confident also. However I have seen parents burst into tears as they didn't want to give up their precious time they have with their child and unfortunately they had to go back to work. I did notice that the children took a long time to settle, this is just from my personal experience. When my daughter was due to start preschool I had heard so many great things about the local setting and I took a look around. I did compare it to where I had worked and her dad thought I was just being picky but I had a gut feeling that I wasn't happy with the environment and staff. On her first visit I did not bond well with the staff and I felt like my daughters needs at the time were not going to be met. I was unhappy all the time she was on the visit and was anxious with her in their care. I did have an attachment issue but for the right reasons. I did move her to another setting and both my daughter and I are happy. She loves the staff and the children and I feel relaxed that she is well cared and looked after. To help with any attachment issues my main advice would be to find the right nursery for you and your child. Go and visit as many settings that are optional for you, do you like the environment? Does you child seem relaxed? Do you both warm to the staff? Does you're child happily walk off or play with toys or other children? You have to like the feel of the environment as more often than not your mother/father instincts are important and right. Try and ask as many questions as you can when you first look around the setting, this will help you decide. A parent can help their child learn how to be social by taking the child to the local baby/toddler groups, the sure start centre's or other groups so you're child can learn to interact with other children and adults. If a child is about to start preschool a great idea is to borrow a book from the library about a child starting preschool too for the first time and talk about how fun it will be. Books are great to help children understand new experiences. My advice for the first day at the setting is to make sure the child understands that the parent will return. The child may not react well but when the parent does return the trust will begin. If a child has a comforter, taking it with them to help ease their anxiety, having something that reminds them about home will help the separation. When arriving at the setting if the parent can be calm and confident this will help as the child will pick up on any sadness and worry and react the same. The key worker will come over to the parent and child and will give the child a cuddle or sit down and interact with them as well as making sure the child understands the parent will return. The parent could wait outside the room and wait until they know they are happy which makes the parent feel relaxed. If a child is upset 9 times out of 10 within 20 minutes they are enjoying there time. A key worker or supervisor should say they will give the parent a call when their child is happy or ask to call if the parent want to check how your child is doing. Attachment for both the child and the parent is natural and once everyone is used to the new environment and the new people a child care setting is a great place for a child to be part of to grow and develop. Life is all about learning new experiences. What happens to your brain when you have children? I had to drop some paper work off at the local library, I had been meaning to do this 'chore' for weeks but one thing after another and it was still not done. I grabbed the bag from the bottom of the stairs and was very proud of myself when got into the town. Placed the bag in my pushchair and quick march to the library. I had to wait after 1 customer who was being served and thought as I am so organised today I will get the bag out. Well i'm bloody glad I did as.... it was a bag of children's clothes. I quietly sneaked out. When you have children you do not have time to think! You have to be able to laugh at yourself as it happens to every parent. You are not alone!!! Last Saturday we decided that due to the fact we had met the sun again after what felt like a year we should head to the beach! We got told how nice Talacre was and wasn't too far away from Cheshire. 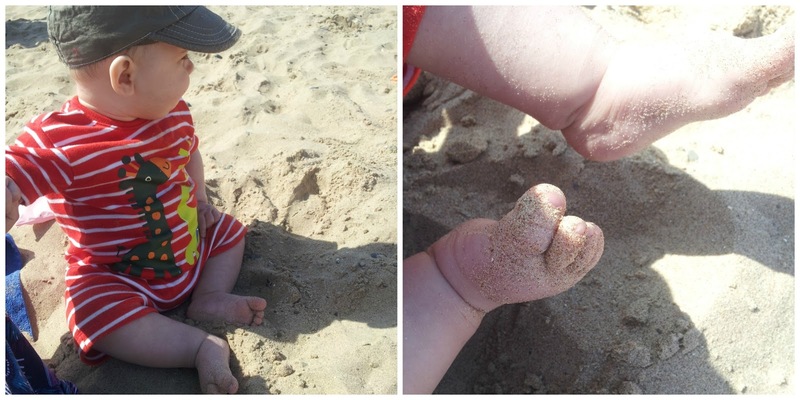 It was also to be Joseph's first trip to the beach and about Callum's first where he could really join in! Just shows what rubbish weather we have had! When we got there it was a very small place, just a few places to eat, a shop and the beach! Perfect for an afternoon! 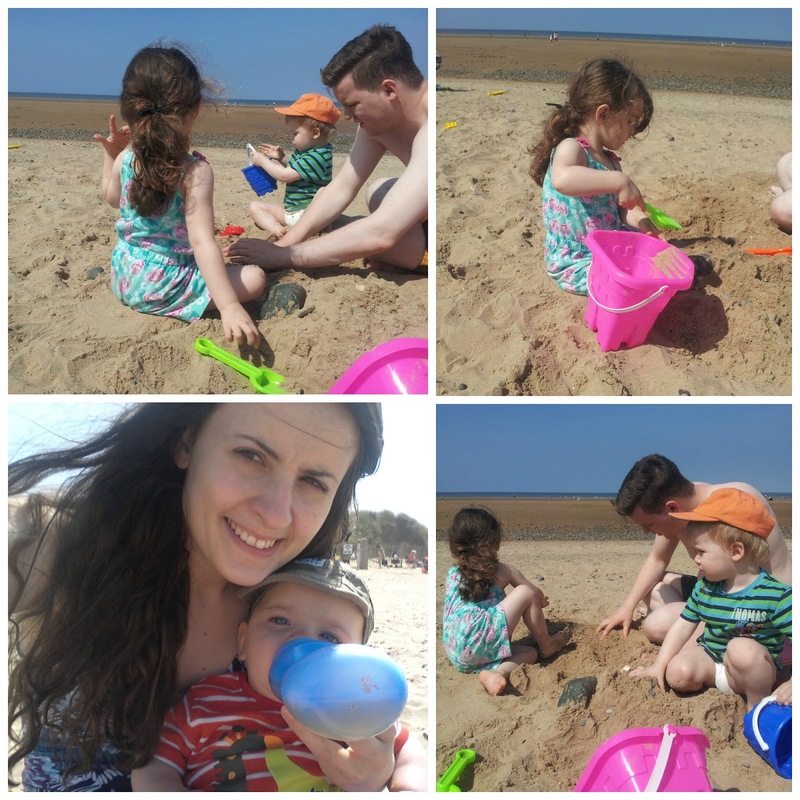 We bought some buckets and spades and headed off on a short walk to the sand! The children had a great time and it was so good to get out of the house! The only bad points as I am a picky person is that there were dogs all over the beach but I didn't see any doggy mess! I guess if I had a dog it wouldn't bother me! There is a pub we walked in and couldn't here ourselves think so walked back out again! If anyone goes there take cash as we only had a card so had to eat nearer home! Or take a picnic! The great points were the sand was just sandy enough! It wasn't too busy, car park by the beach and was free( i think) but we parked further up! The walk to the beach was on a path and wasn't too far! I managed to get my baby jogger city mini through for anyone with doubles! Horses are also allowed on this beach and it was amazing seeing him and his rider galloping down the sand! Hello!! Blog on is a week tomorrow!! I have to admit this morning I was convinced it was tomorrow, good job I doubled checked as it would have been a very boring and embarrasing blog meet!! 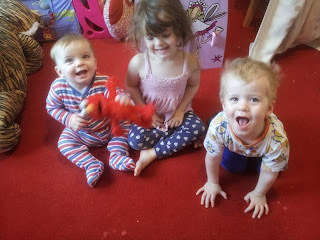 I have Annabelle who is 4, Callum who is 2 and Joseph who is 7 months! 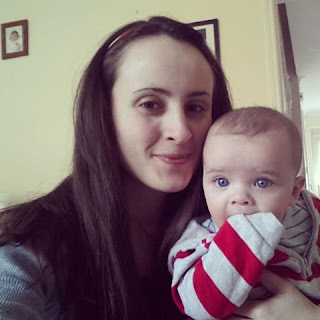 My blog was originally Love Being Mummy To Two but when I was pregnant with Joseph I hate to choose a new name! I am looking forward to meeting new faces! Thank you to Laura from Tired Mummy Of Two for organising and those goody bags look amazing!! Does your 7 month old nap in the day?? He is baby no3 and if he went to sleep he would be missing out on all the fun! Now and again he will have a good 2 hour nap, usually the day before he gets a cold! He usually sleeps about 45 mins max once to twice a day in his cot tue and thursday, he wakes us crying as he is very cross to be there! On mon, wed and fri he falls asleep on the nursery run so no sleeps at home! Its so hard to get anything done with all 3 awake all day! By night I can't think!! I am not moaning as I love being a mum but everyone needs a break! I used to think 1 baby was hard work... how wrong was I!!! Before I was a mum I didn't talk about poo, infact I liked to think I never did them. Its not something you talk about is it? Well along comes a baby, and BOOM you seem to talk about poo all the blimen time! Then in our case, Annabelles withholding problems... talking to Annabelle about mr poo, and saying 'do you need to have a poo' having to massage her tummy to help her go, sitting by the toilet for ages and nothing! Even worse.... asking the nursery nurses, 'what was her poo like' big... I won't mention any other describing words in case you are eating! Thankfully the staff understand my logic behind the questions! I mean, if she didn't have a problem I would not be having that conversation! I am hoping that Callum and Joseph magically become toilet trained... well I can dream can't I!!! Katie Bailey from Navitas Holistic therapy and Reiki centre in Shavington, Crewe kindly asked me to review a couple treatments, of course I said yes! I have been suffering with a bad trapezius since Annabelle was a baby and other than the occasional massage I've just had to put up with the pain. The treatments I chose were Indian Head Massage which I only have had once before and to be honest it wasn't a good experience. I also chose Reflexology as I never had booked a session as I am very wary of wasting my money on something that baffles me. How can massaging and applying pressure on a foot help the different parts of the body?? So I thought I would see for myself. Luckily the centre is also open on a Saturday and evenings as when you are busy with work or children all week the evenings and weekends are the only option. The centre is located opposite the Alexandra Training Ground and easily accessible from the Crewe and Nantwich area. Free car parking is available which is just outside the centre. What happened at my treatments? I was so excited on Saturday morning as I really don't get any time to myself with having 3 young children let alone a pampering. Upon walking into the centre I was relaxed immediately with the scent of incense sticks. The centre is actually a previous home which I feel makes it more warming and private. I think a treatment room has to be the perfect temperature as I hate being cold. It was just right. The room was great, a chair to sit of whilst I filled out the quick forms to let Katie know of any problems or illnesses. 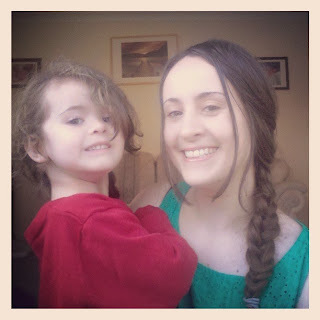 We also had a chat about how busy being a mum is and my poor trapezius. First I had the Indian Head Massage and as I have a bad upper back she decided to concentrate on that area and I was very happy about that. I sat on a chair at the end of the treatment bed with the comfiest looking pillows I had ever seen. Katie asked me my skin type so she could apply the correct oil. The massage was AMAZING. Katie massaged all the knots as well as finding ones I never knew I had with a good amount of pressure. I could feel the benefit of the massage and Katie made me feel so relaxed. The second treatment I choose was Reflexology. To be truthful if I wasn't asked to review I wouldn't have booked reflexology as its a bit unknown to me. What I found lovely was that Katie asked if I wanted a cup of tea whilst she did the treatment. She then got a lovely soft blanket and tucked me in. Mums( and dads) you will know how lovely this is. All cosy, sat in relaxing quiet room waiting for a cup of tea to be made. feel in my back. I couldn't believe it. If she was working an area where I felt movement( like a small crack or knot) she would ask 'do you have trouble with....' all the points she asked were correct and some like my lower back and knee are where I hurt that area years ago. I was and still am happily shocked. How did I feel after my treatments? I felt so relaxed after both treatments and inspired to do some reflexology on myself and the children, especially my eldest who has some problems. Katie was very informative and showed me a demo of what to do to help her which I am very thankful for. Yes defiantly!! I have already booked my next appointment and can't wait! I should have done this sooner as being a parent is tiring and the daily stresses can effect your body more than you think. 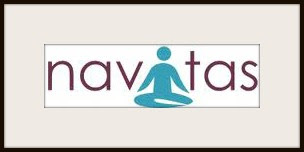 I had a fantastic experience and I recommend Katie and the Navitas Holistic Therapy and Reiki Centre, hope you go and see for yourself!! Have a read of the about us page HERE and find out how Katie and her husband Simon started! It will be my 5th Christmas as a Parent this year and I have learned my lesson. and also dance along to your music. The puppy can even interact with other Tech Pets using bluetooth. Do you're children love music? All three of my children love a good boogie but I have yet to come across a book that teaches music aspects. Carrie and Grant who are famous for music coaching and you may have seen them on cbeebies have brought out two new books that are to encourage the under 5s to enjoy all kinds of music. Both books come with a CD so you can read along with the book as well as listen, sing and dance to the music. Not only has the book got a story and a CD it has craft ideas linked with the stories. Once upon a time I was training to be a teacher and creating a story sack was one of my tasks as it gives a better understanding of the story as you are creating, exploring and talking about it. I defiantly recommend these books to parents, they retail at £6.99 but you also get a CD so worth the money.